NYC AR rep, DJ Dstrukt makes it Rane by putting the new weapons to use. 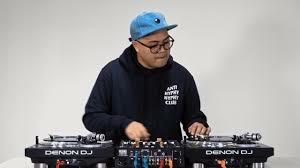 Check out his use of Serato Flip, Loop, and more on these Denon DJ turntables and Rane DJ Seventy-Two mixer. This creative DJ routine is worth multiple viewings and even some slow motion replay ! Music by Decap, Teeko & Aziz the Shake.